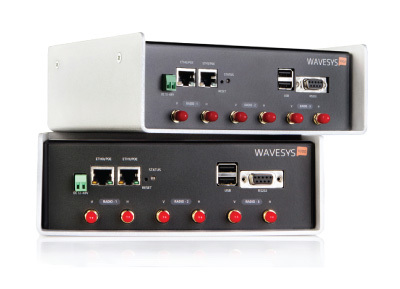 Quad Radio is a key feature, making Wavesys 1000 a unique router for reliable communications, as it guarantees redundant and diverse wireless communications interfaces. 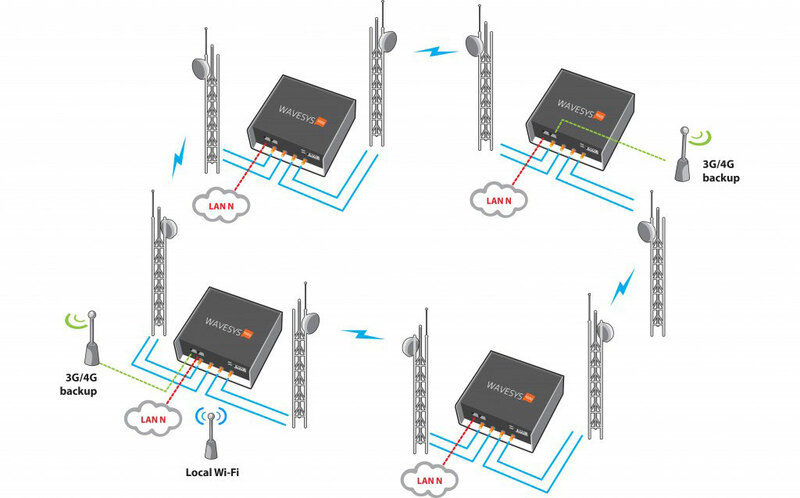 Wavesys 1000 provides a span of different wireless interfaces to meet the requirements of each communications node on a network. The embedded routing and aggregation capacity provide the tools to take full advantage of the various wireless interfaces. 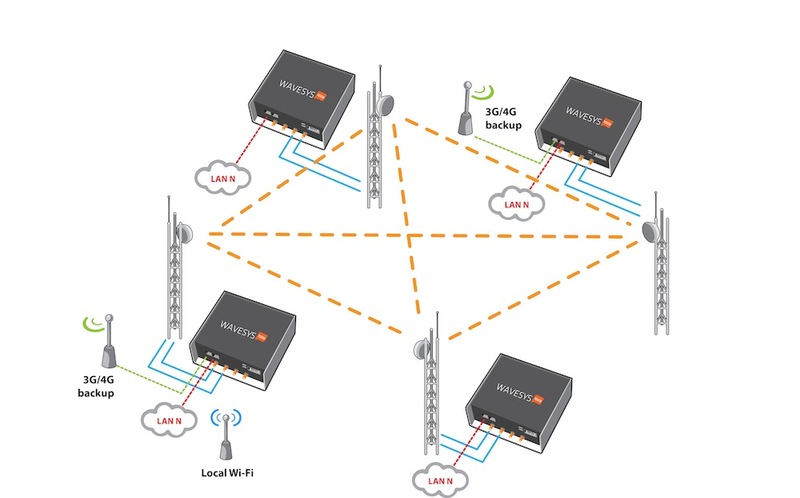 Wavesys provides celular interface (2G, 3G, 4G), which can be used as main communications path, redundant path or singly for remote management. 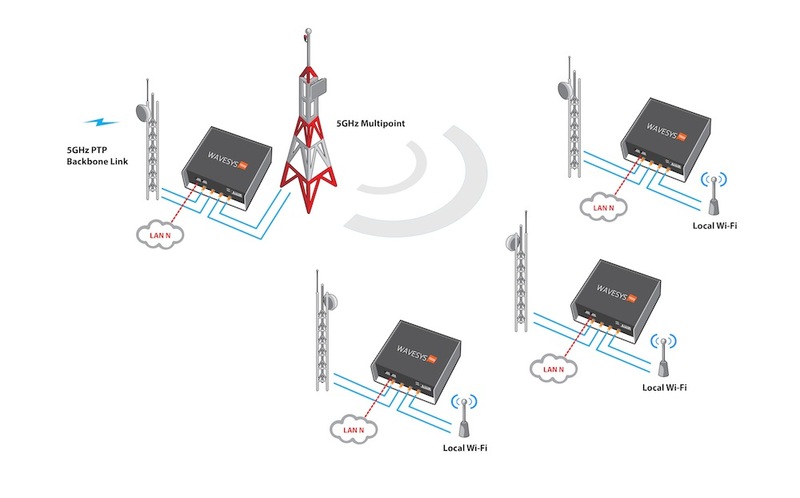 One can have 2 distinct 4G interfaces, connected to different cellular operators and do the aggregation of both throughputs for more performant and reliable internet connectivity on that node. Redundancy by wireless is a consequence of Wavesys 1000’s quad radio architecture. One can merely do aggregation, or do more complex redundant paths, using its routing and diverse wireless interfaces. 5GHz can be used band to make a wireless backhaul network while 2.4GHz band for Wi-Fi hotspot. Power input can be made through 8 to 56V DC terminals as well as PoE input on both Ethernet interfaces. A wide range of operating temperature (-40oC to 85oC) in a metal housing for DIN-rail mounting make a suited equipment for industrial applications. 802.1Q (until 256): Management VLAN. Access and Trunk Modes, including support on radio interfaces in any operation mode. VPN client for secure connections (OpenVPN, IPSec, DWVPN) – Encryption AES128/256, Hashing MD5, PKI certificates. Contact us for further information on a true stand alone Wi-Fi Mesh Network that does not need to be connected to the power grid!